From time to time, Pink Boots Australia will have scholarships available for all Pink Boots Australia members to apply for. The scholarship program exists to provide further educational opportunities to our members. Since 2016 Pink Boots Australia offered four scholarships each year for members to be able to attend the IBA Craft Brewers Conference. This included flights, accommodation and conference tickets. If you have an idea for a scholarship Pink Boots Australia can offer, or you would like to sponsor a scholarship for us to offer to our members, please email us. Pink Boots Australia is all about members helping members. Pink Boots Society Australia are offering four (4) scholarships to attend the IBA BrewCon 2018, held in Sydney on Tuesday 26 to Thursday 28 June. The scholarship is open to anyone who is a Pink Boots member. You must be available for travel to Sydney on Monday 25 of June and return on Thursday 28 of June. - Why you would like to go to the conference? - What you expect to get from the conference? - How will you ‘Pay It Forward’ to your fellow Pink Boots Society members? The Pay It Forward is a key consideration of the application. Example of ways to Pay It Forward include, but are not limited to, blog articles, podcasts, events, a presentation at a Pink Boots or industry event, a tasting or a brew day. 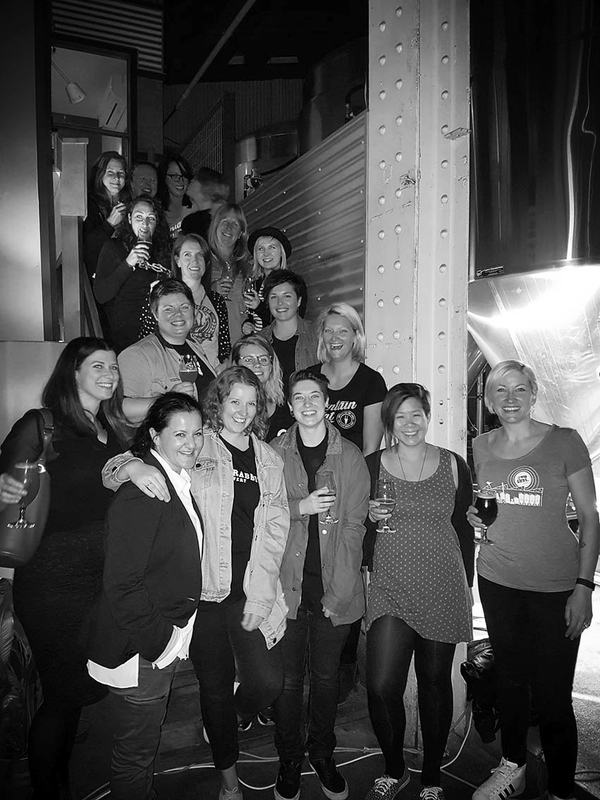 Pink Boots Society is made up of female beer professionals of all different backgrounds and this industry diversity is encouraged in the opportunity to Pay It Forward. - Any additional expenses to those listed above will be at recipient’s own expense. This includes but is not limited to travel expenses outside provided flights, meals, entertainment, additional hotel charges, spending money, additional baggage, room service, conference additional activities. - You must be a member of Pink Boots Society Australia before your application is received. - You must be available to travel to Sydney on Monday 25 June and return on Thursday 28 June. Any changes to flight bookings will be at the recipient’s own cost. - Applications will be presented to the judging panel blind. Any identifying information will be blanked from the application with no other changes to the information provided. - The judging panel will consist of volunteer judges from the beer industry and board representatives. - Employees from the same business as judges will unfortunately be unable to enter.